"On The Wing" is a song by How To Destroy Angels from their second release, An Omen EP. 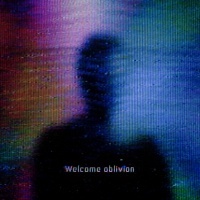 It is also one of four songs from the EP featured on HTDA's first full-length release, Welcome Oblivion, and the only song to appear on both releases that has thus far not been given a music video. It was covered by Nine Inch Nails with Mariqueen Maandig during the NIN + QOTSA Tour. On December 14, 2018, Mike Garson joined the band to perform the song. Previous track - "Ice Age" Track 6 from Welcome Oblivion Next track - "Too Late, All Gone"
Previous track - "Ice Age" Track 3 from An Omen EP Next track - "The Sleep Of Reason Produces Monsters"
This page was last modified on 19 April 2019, at 22:08. This page has been accessed 19,408 times.